Do Debt Consolidation or Get Out of Debt Loans Work? Will Debt Consolidation Help Me Get Out of Debt? You may be considering a debt consolidation loan to help yourself get out of debt. Often people will take out a home equity loan or a second mortgage as a way to consolidate their loans. This will lump the debt payments into one single payment. It may also lower the interest rate and lower your monthly payment amount (by extending the term of the loan). While you may think that consolidating your loans and making the payment more manageable is an easy way to begin to get relief from debt, you need to carefully consider many things. When you consolidate your debt, you pay off the balances on your credit cards, and other loans with the money that you receive from the new loan. After you do this, you only have one payment to make instead of several. You can do this with a second mortgage or a home equity line. Some companies offer an unsecured debt consolidation loan. You need to be careful with these because the interest rate is usually very high. However, the debt consolidation loan may have a lower interest rate than many credit cards. While the initial interest rate may be lower, because you are extending the length of the loan (with lower payments), you may end up paying more in interest than you would have otherwise. So you may not be saving the money that you thought you would by taking out this type of loan. Be sure that you look closely at the numbers. If you are on a debt payment plan, you need to keep working on finding to pay off your debts quickly. Shop around for the best loan options. Check to see if there are penalties if you pay off the loan early You can save on interest by paying off the loan more quickly. Avoid consolidating a lower interest rate loan into a higher interest rate loan even if it means you have an extra payment. Generally a debt consolidation loan will take unsecured debt and change it into secured debt. If something were to happen to you and you were unable to make the payments on your home equity loan, and then you could lose your home. If you were unable to make payments on your credit cards, you credit score will go down, but you are not likely to lose your home. 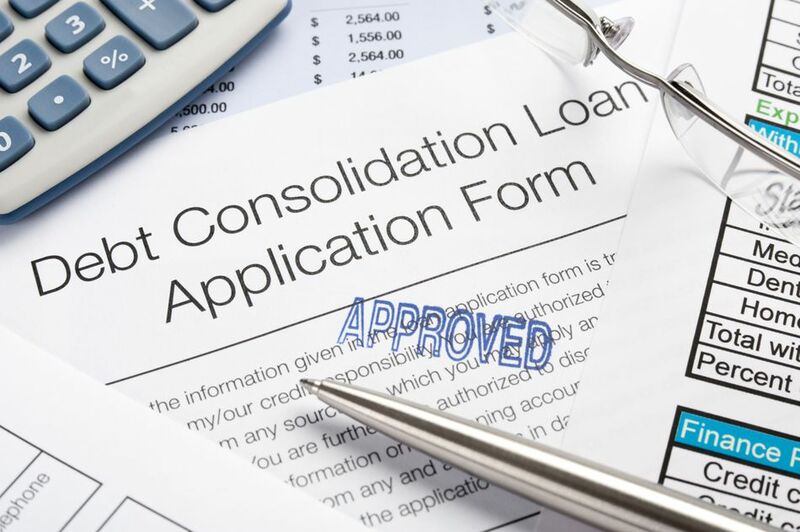 When you choose a consolidation loan, you should look for a set interest rate and an unsecured loan. This will protect your assets. Avoid taking out a second mortgage or a home equity loan to address debt problems. Look for an unsecured personal or consolidation loan instead. Building equity will make it easier to sell your home if you needed in the future. Be sure that you are changing the way you handle your money. Consider cutting up your credit cards (but not closing the accounts) so that you stop using them. Switch to cash for the majority of your purchases to help limit your spending overall. You can take care of the situation by setting up your budget, and a debt payment plan. You can also work with your creditors to see if they can lower payments and interest rates for you. It is only through addressing the reasons that you have debt that you will be able to get out of debt and stay out of debt. If you are having trouble staying focused on getting out of debt, try rewarding your progress and finding a support team that will help you make good financial choices. If you are having a hard time solving your debts, you may consider a debt relief firm for extra help in getting control of your situation. Consider looking for a debt counseling firm before you take out a consolidation loan. Bankruptcy may be an option if debt consolidation does not clean up enough of your consumer debt. however this will have a negative impact on your credit. Consider taking a class or joining a support group to help you change the way that you handle your money.